London based artist Rebecca Stevenson graduated from Chelsea College of Art and Design and the Royal College of Art, 1998-2000. 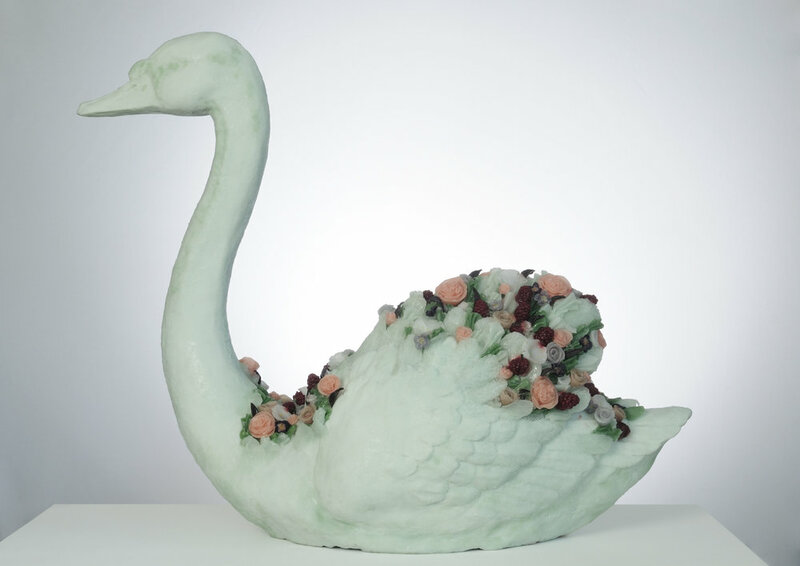 She is best known for her visceral and baroque sculptures in resin and wax. Her sculptures are based on traditions of vanitas and still life heavily alluding to anatomical drawing and botanical illustration, occupying a liminal territory between scientific enquiry and the subjective, imaginary body. 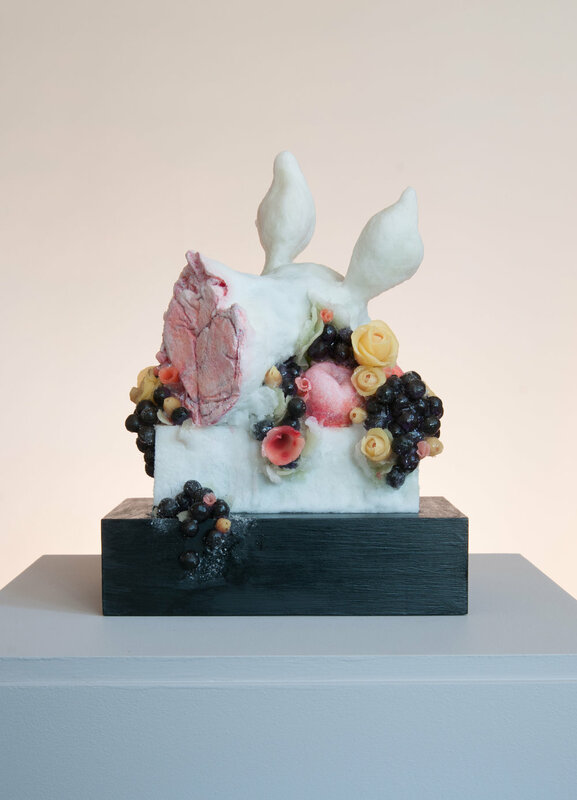 Her work explores the contradiction in the “nature morte”, in which transient everyday objects - bread, meat, flowers, fruit - are immortalised and elevated by the processes of art. Wilted petals on the point falling off the stem and fruit so ripe it is on the verge of rotting, Stevenson’s work is in it’s own right a bouquet of death, decomposition, life and tragedy all at the same time. Her solo shows include ‘Fantasia’ at Kudlek van der Grinten in Cologne, ‘Innocents’ and ‘Carniflora’ at Mogadishni in Copenhagen, and ‘Exquisite Corpse’ at DomoBaal in London. Stevenson’s works are held in the Olbricht Collection, the Maramotti Collection, and the collection of Paul and Alison Myners, as well as in numerous private collections worldwide.